On February 14, Nikolas Cruz opened fired into a South Florida High school. 17 are reported dead and many injured in the shooting. Among them was an LDS teen, Alaina Petty. “We are heartbroken by the loss we feel in the tragedy that unfolded yesterday at Marjory Stoneman Douglas High School. Our hearts go out to the families of all impacted by this tragedy, and our prayers are for their comfort and healing. We wish to thank our family, friends, and the community for the love and support demonstrated to our family. It is important, to sum up, all that Alaina was and meant to her family and friends. Alaina was a vibrant and determined young woman, loved by all who knew her. Alaina loved to serve. She served her community through her participation in the Marjory Stoneman Douglas JROTC program and her countless hours of service as a volunteer for the “Helping Hands” program of The Church of Jesus Christ of Latter-day Saints. Alaina was part of hundreds of volunteers that rushed to the most heavily impacted areas of Florida to clean up and help rebuild the lives of those devastated by Hurricane Irma. Her selfless service brought peace and joy to those that had lost everything during the storm. While we will not have the opportunity to watch her grow up and become the amazing woman we know she would become, we are keeping an eternal perspective. We are grateful for the knowledge that Alaina is a part of our eternal family and that we will reunite with her. This knowledge and unabiding faith in our Heavenly Father’s plan gives us comfort during this difficult time. 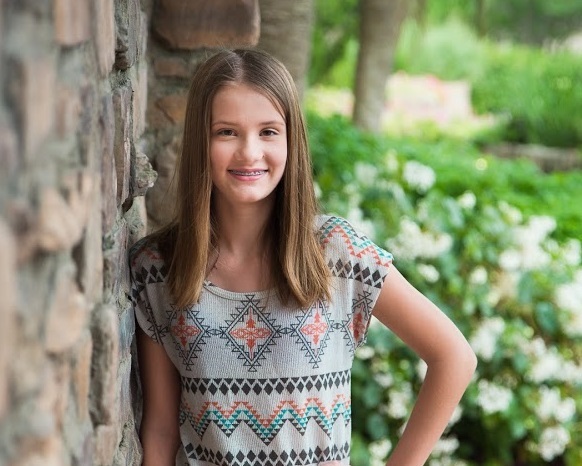 Another LDS teen, Madeleine Wilford, was also injured in the shooting as well. She had to endure several surgeries and will need a few more in the future. Throughout the shooting and shortly thereafter, many reached out. Many posted on Facebook for prayers and moments of silence for all the people that had lost lives and were injured.